Even though WordPress was initially designed for blogs, with its continuous evolution and the availability of the plugins and functional themes, it is now possible to create almost any kind of website with it. In this article, we will talk about the best WordPress Membership plugins to create fully controlled Membership Directories or business website with WordPress. These membership plugins are designed to let you easily manage the members and the control the access of the data visibility based on the package subscribed by a user. The whole process might sound complicated, but with the options provided by these plugins, you will be able to manage everything effortlessly. Now let’s check out this list of WordPress Membership plugins crafted to make your life easier. Alternately, you can rely on this membership directory software to create your membership based online directories. MemberPress WordPress theme can help you turn your WordPress website into a membership website in minutes. The plugin is crafted to be easy to use and helps you control the access to the content on your website. 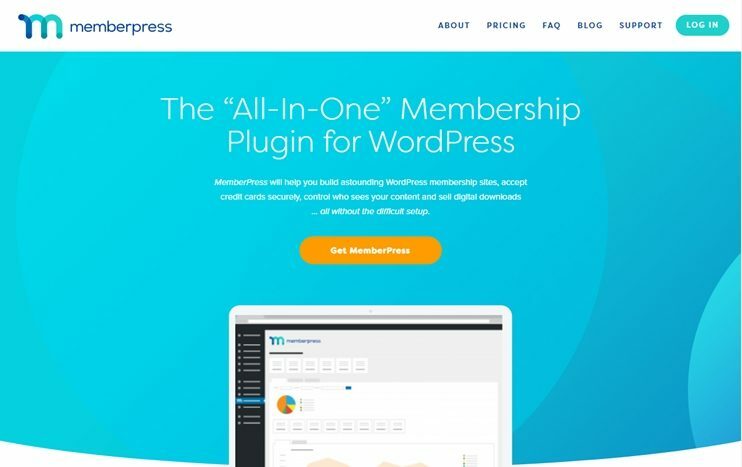 Besides, memberpress provides integration with many third party plugins(See here) to integrate extra features into your WordPress membership website. For instance - You can use it with LearnDash to create online learning systems. The pricing for MemberPress ranges from $119 per year to $359 per year. 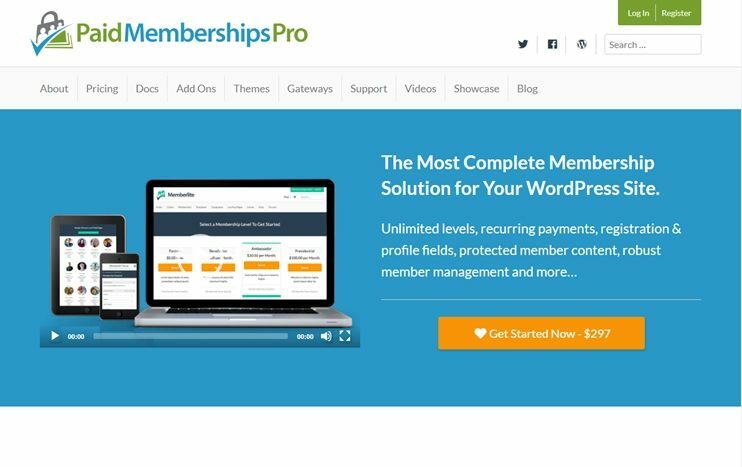 Paid Membership Pro is another WordPress membership plugin that you can use to create membership based website. It comes with splendid features like recurring payments, member management, access control, etc. It also includes a complete reporting module to let you analyze the performance of your membership website. Paid Membership pro comes with not just one but 6 payment gateways already integrated. Paid Membership Pro has a FREE VERSION. You can try the free version and upgrade to the paid version as and when you want. The paid versions range from $297 /yr to $697 /yr. Paid Membership Pro is an SEO friendly membership plugin. 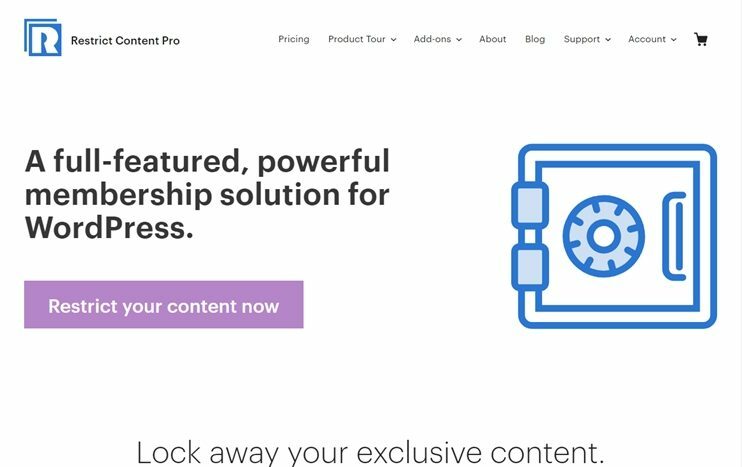 Restrict content Pro is a membership plugin for WordPress to provide paid access to the protected content on a site. It lets you create discount codes and activate them for the membership packages on your website. It has a module for reporting and even allows exporting the report data. It too, allows integration with some of the best payment gateways. The pricing for Restrict Content Pro starts at $99 /yr and $149 /yr, and extends upto $249 per year. There’s a one time payment option at $499 where you pay once and get all the features, addons and can use it forever. Wishlist member is one of the membership plugins WordPress that can help create wonderful membership websites in minutes. It lets you create memberships at different levels, subscription duration control, multilevel access, etc. 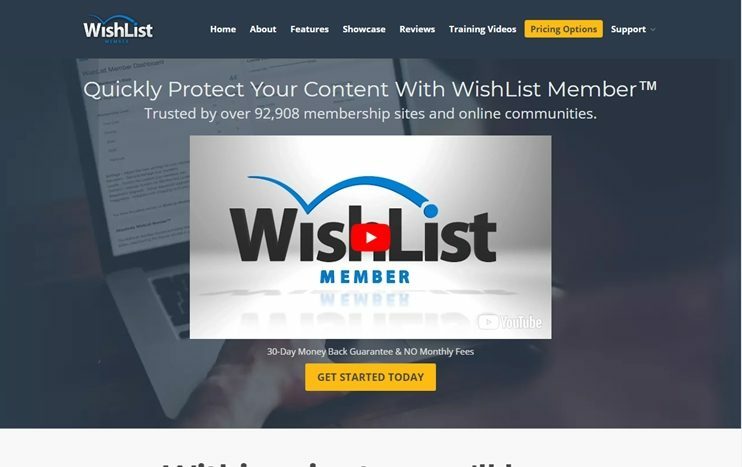 Wishlist membership plugin has no monthly fees, and it can be purchased at $197 with 1 year of updates, support and a lifetime usage license. If you want to use this plugin on multiple sites, you can buy the multi usage licence for $297. Also, it offers a 30 days money back guarantee. 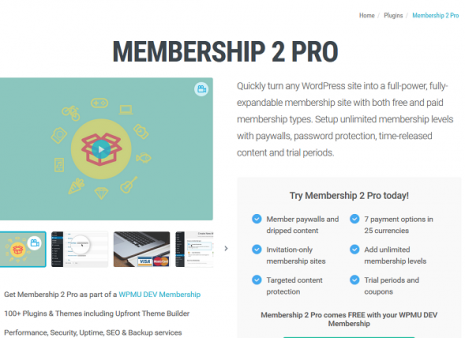 Membership 2 Pro is a premium WordPress membership plugin with a complete membership module for your WordPress website. This plugin lets you manage the users, control the access and create different levels of memberships on your WordPress website. It allows controls over menus, posts, categories, etc. 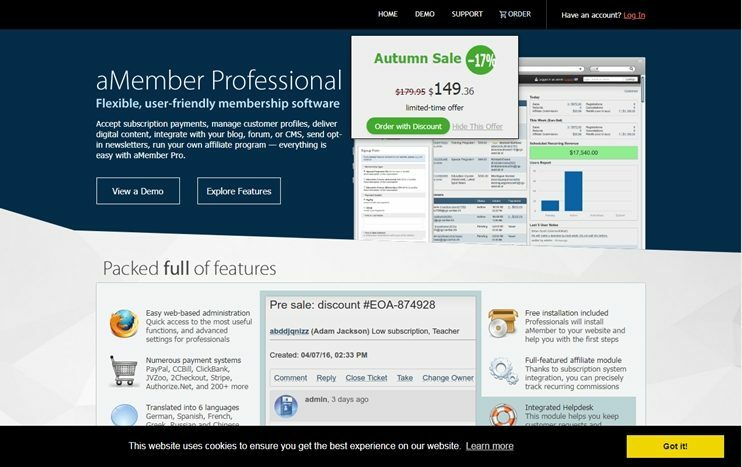 Also, you can manage the access and capabilities of a member, based on the level of membership subscribed by him.Membership 2 pro is a feature rich plugin. To know all it’s features, press the more details button. 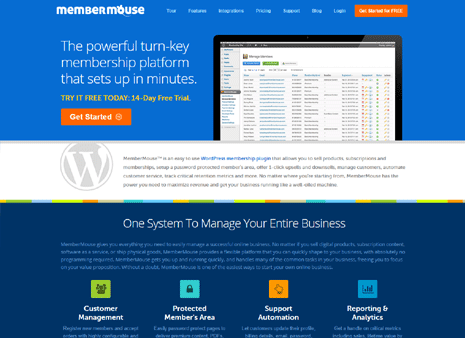 Membermouse is a WordPress membership plugin that you can integrate into your website to create a membership website. It lets you create password protected members area and deliver restricted content to those who subscribe the membership. This plugin can be used for software delivery, protected content or SAAS. It lets you protect custom post types, categories, posts and pages on your website. Along with the membership features, this WordPress plugin for membership also has some features for tracking and managing upsells and downsells. 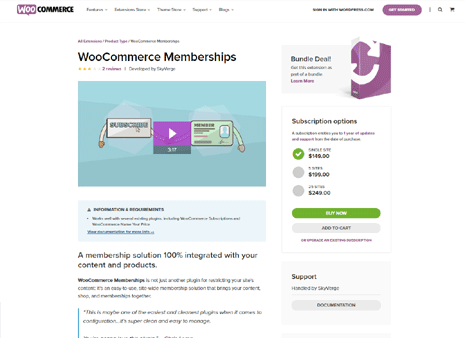 WooCommerce membership is a reliable WordPress membership plugin that you can use to turn your WordPress website into a fully fledged membership website. This membership plugin is easy to use and comes with some very intuitive backend options to let you easily manage the members and memberships on your website. Create membership packages and make membership clubs with special access. It also has features to create discounts and import or export members. This membership plugin works seamlessly with WooCommerce subscriptions and therefore you can easily collect recurring payments. Which Membership plugin is your favorite? These were the best WordPress membership plugins that you can integrate into your WordPress Directory or business website to control the access of your content.These membership plugins come with easy options to manage the members and control the access levels. All you need to do is install them and configure them as per your wish. However, if you wish to create a sophisticated membership website with diverse membership features, we recommend using membership softwares like the directory membership software or wild apricot. As these plugins are specifically designed to let you create online membership management systems effortlessly. Moreover, the expert support helps you setup your website easily. Enfold Theme Review: Is It Good Or Bad?